We make purchasing a gift card super easy! Follow the links below to complete the entire purchase online. You'll have the option to either print a hard copy of the gift card or have it emailed directly to the recipient. As always, we are here to assist in any way you need! Choose to gift a Therapeutic Massage, a Prenatal Massage, or a 90-Minute Partner Massage Lesson. Packages also available! This is a customizable gift card. It can be used toward any massage or workshop offered at Melt. If you have received a gift card, please see below for details of the service or package indicated on your card. If you have any further questions, please don't hesitate to contact us. To request a massage, give us a call, send us an email, or fill out our appointment request form. Massage gift cards expire one year from the date of purchase. 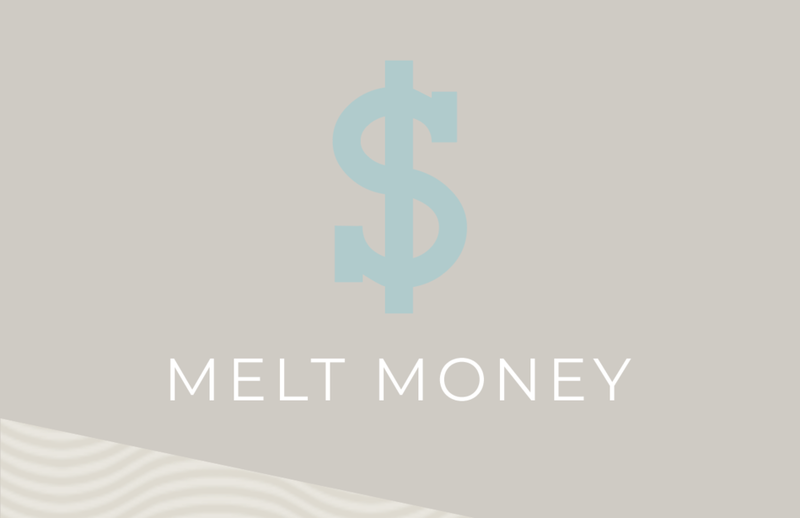 Melt Money is good toward any massage or workshop offered at Melt. Your gift card is like cash, so be sure to keep it in a safe place.